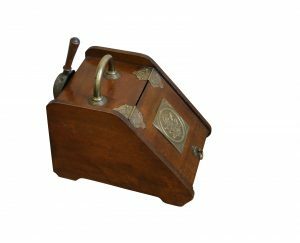 An Art Nouveau walnut fireside coal scuttle with brass scoop. 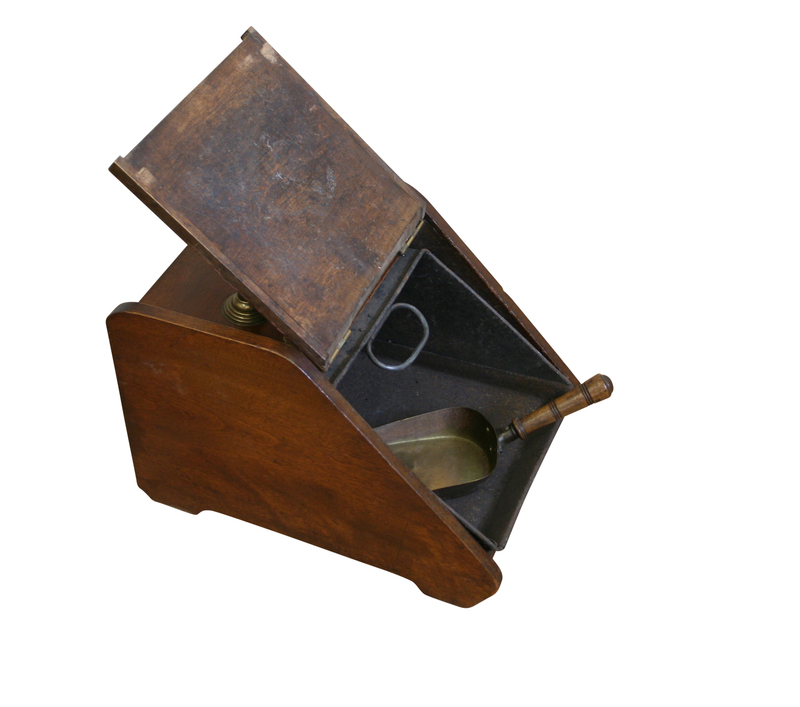 It has a flap door for coal or wood storage and the scoop sits in a holding rack at the back. 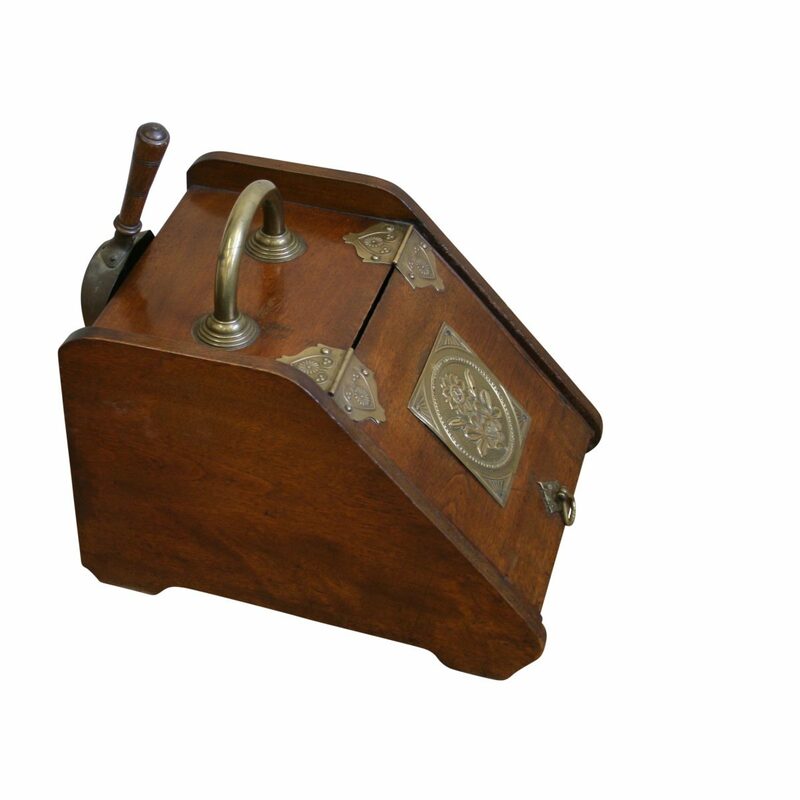 It also has a brass carrying handle to the top, and embossed brass hinges and central plaque.